SENSEI ROBIN RIELLY 7th Dan. Interview By Clifford G. Day. COMING HOME: After Five Years in Japan. By Scott Langley. HIROKAZU KANAZAWA: A LESSON WITH A MASTER. By John Cheetham. DO PRE-EMPTIVE TECHNIQUES EXIST IN KATA? By Bill Burgar. BARBARIANS WITHIN THE GATES: By Mark Groenewold. 'DEFENDING' IN KIHON IPPON KUMITE. By John Cheetham. MIKIO YAHARA CONQUERS MOSCOW. Report By Alar Pollu. Welcome to the first edition of 2004 and a Happy New Year to all SKM readers worldwide. 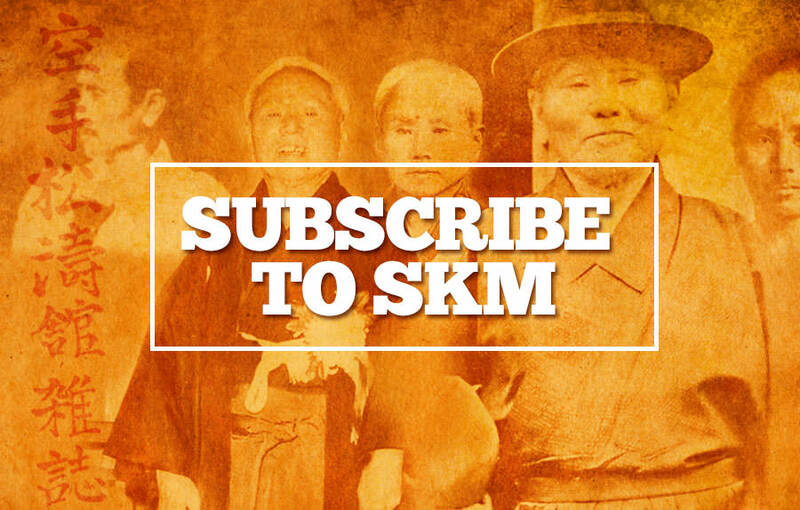 We are now in our 20th year of publication (July will be issue 80) and I'm pleased to report that SKM is going from strength to strength. Robin Rielly 7th Dan is a senior instructor with the ISKF (headed by Okazaki sensei). Although his training and karate education is steeped in traditional karate, Robin Rielly has strong views on how we should adapt what we have learned from the senior Japanese instructors. He states... "Each nation has its own unique culture; the job of the senior karate practitioners in each country is to take what they have learned from the Japanese and adapt it. This does not mean that basic techniques or the kata should be changed, but how we approach their study should be different." 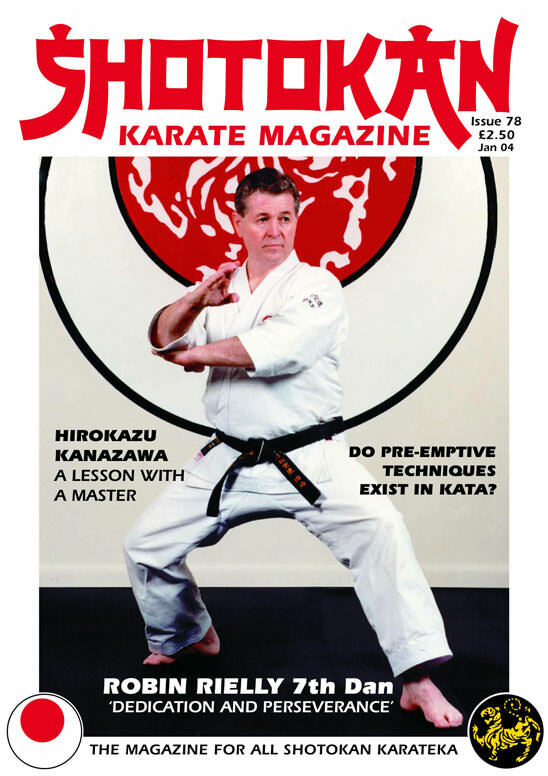 This terrific interview focuses on cultural differences and how it affects our karate. Bill Burgar's article poses an interesting question and Bill answers it very convincingly. However, some people may disagree? Gichin Funakoshi wrote, "There's no first attack in karate." He also stated, "All kata begin with a block." Now, you can come up with all sorts of clever ideas, but the bottom line is, that a pre-emptive strike means that 'physically' you hit first! We will of course have our own views on this topic. My view is that if someone is seriously intent on damaging you, then you do whatever it takes to survive! If this means getting the first blow in, (a pre-emptive strike) then so be it! It could be said that 'Technically' there are valid arguments about 'some' of the methods we use and how they can be bettered! Read Peter Consterdine's 'Letter' and you'll see the point! Many students still adhere to the traditions, etiquette and philosophy as laid down by Master Gichin Funakoshi, which makes a karate dojo a 'breeding-ground' for good manners, discipline and respect which is paramount (especially for children) but I feel that 'TECHNICAL' points must always be 'open' to debate! However, if you like, and prefer practicing traditional methods, why change the three K's, (kihon-kata-kumite). What we can do of course, is 'experiment' with things like 'impact-training' and different types of kumite and 'ADD' some other methods if we so wish. This is where people say that western karateka have moved-on and taken karate a step further, not necessarily by changing things but simply ADDING other methods to their training regime. It's like a 'classical' musician experimenting and diversifying into Jazz or Rock music and 'adding' this to their repertoire, they don't change anything - 'classically'! Sadly, another great Shotokan master has passed away (Nov 1st 2003), sensei Hiroshi Shoji 8th Dan, for many years head of instructors at the JKA Hombu dojo in Tokyo. He will be greatly missed. It was an honour to train again recently with someone as special as Hirokazu Kanazawa sensei. We must cherish these older masters and learn what we can from them while they are still with us. You sometimes wonder what it would be like to have trained with such a sensei on a daily basis, over a long period of time? Most of us will never know!